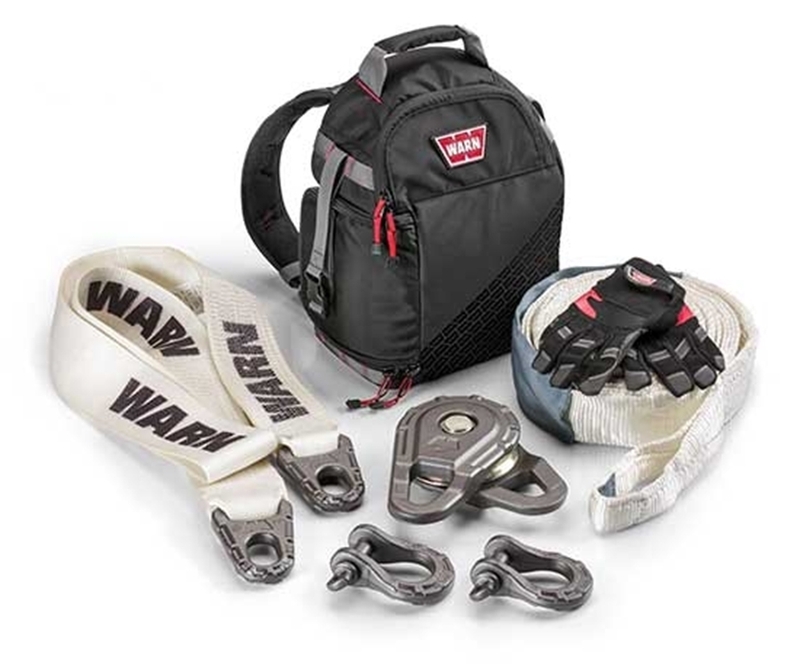 Tech Tip Tuesday: WARN Epic Recovery Kit | WARN Industries | Go Prepared. Your winching accessories are nearly as important as your winch, and we offer a host of accessories so you can get the most out of your truck, Jeep, or SUV. And for those looking to truly get the most premium recovery kit on the market, we offer the Epic Recovery Kits. These kits, available in Medium-Duty and Heavy-Duty, include our Epic Accessories nested in a super durable and versatile backpack. These kits are easy to carry, simple to stow, and everything is made from premium material that’s been thoroughly tested and engineered for the harshest environments. The video above goes through the ins and outs of this kit and will provide you with the info you’ll want when doing your recovery kit research.